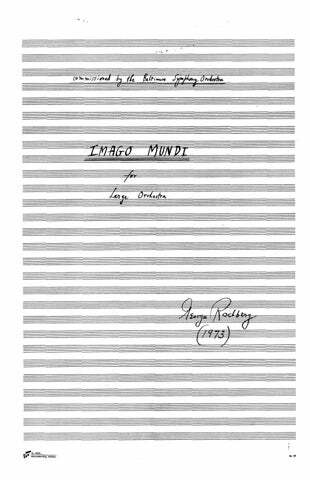 “All human gestures are available to all human beings at any time.” This became George Rochberg’s credo in the years following his famous change of compositional style. Rochberg’s music following this change was, as musicologist Richard Taruskin puts it, “to challenge the whole idea of stylistic obsolescence. And to challenge that idea was to put in question the ‘necessity’ of the twentieth century’s stylistic revolutions: the most sacred of all modernist dogmas.” In Taruskin’s view, Rochberg’s later music does not depend on the “sophisticated irony” that was becoming commonplace in the 1970s and 80s, but rather a “disconcerting sincerity.” In this respect, the music was a parallel of the man who, in the words of Kyle Gann, “exhibited an honesty and courage that transcended all differences of ideology” and who was seen by many as a highly progressive and revolutionary force who changed forever the face of American music. Following the 1971 Third String Quartet, Rochberg produced new quartets, symphonies, and concertos which added to his prominence in the concert hall. 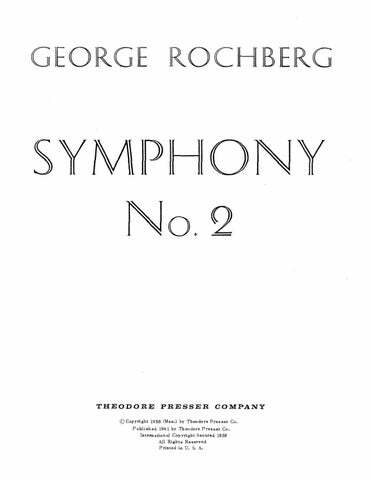 It is a body of work informed throughout by what Rochberg called his “deep concern for the survival of music through a renewal of its humanly expressive qualities.” International recognition came to Rochberg through widespread performance of his works by leading orchestras, conductors and soloists. Many of his works have been recorded, and his music has been the subject of discussion in journals and magazines in America and abroad. 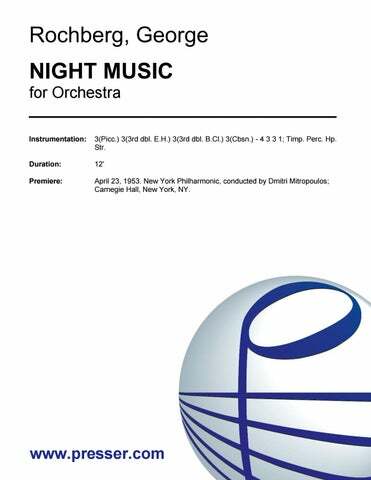 Beginning with the first performances of his Night Music in 1953 by the New York Philharmonic with Dimitri Mitropoulos conducting, other works subsequently achieved major attention, notably the Symphony No. 2 with George Szell and the Cleveland Orchestra (1959 and 1961); the Oboe Concerto, commissioned for Joseph Robinson and performed by Zubin Mehta and the New York Philharmonic (1984); Symphony No. 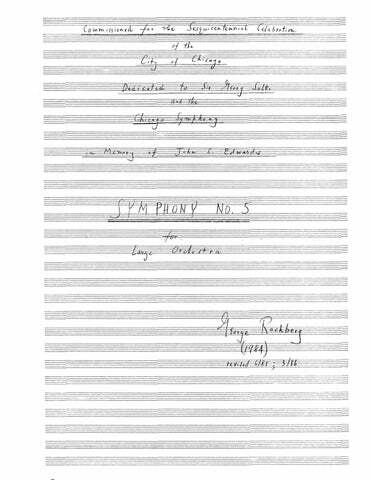 5 premiered by Sir Georg Solti and the Chicago Symphony (1986); Symphony No. 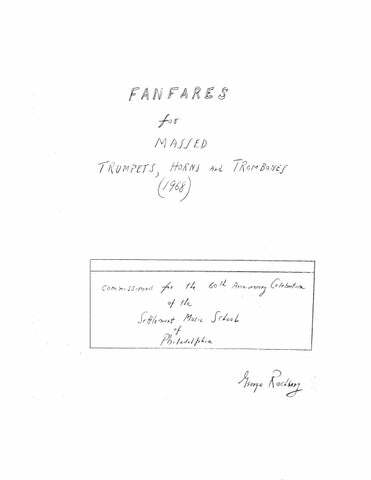 6, with Lorin Maazel conducting the first performances with the Pittsburgh Symphony (1987) and Concerto for Clarinet and Orchestra, commissioned for Anthony Gigliotti, principal clarinet, by Wolfgang Sawallisch and the Philadelphia Orchestra, and premiered in 1996. 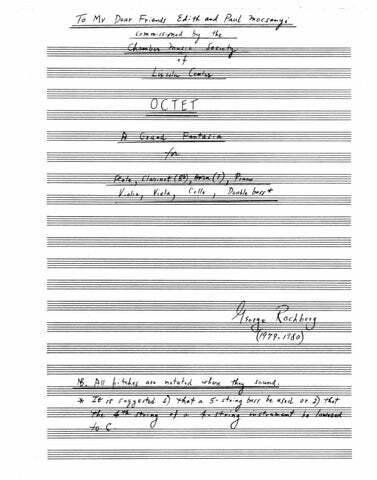 Another important work in Rochberg’s oeuvre is the Violin Concerto, which was first performed by Isaac Stern in America, England and France during the mid-1970s. Several alterations were made to the concerto before these performances and the work’s subsequent recording that departed from the composer’s original vision, and in March 2002 a revised and restored version by Rochberg was premiered by violinist Peter Sheppard-Skaerved and the Saarbrücken Radio Symphony Orchestra, conducted by Christopher Lyndon-Gee, who had been a major and enthusiastic force behind the project. A recording of the concerto as well as a recent release of Symphony No. 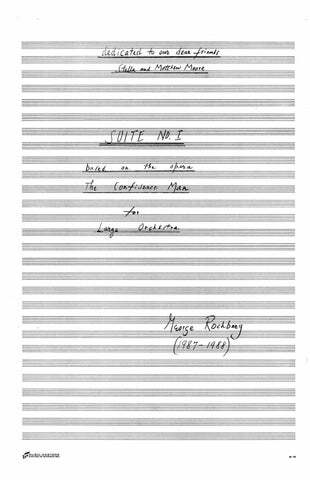 1 are available on the Naxos label, part of an on-going project by Lyndon-Gee and Naxos to record all of Rochberg’s orchestral music. 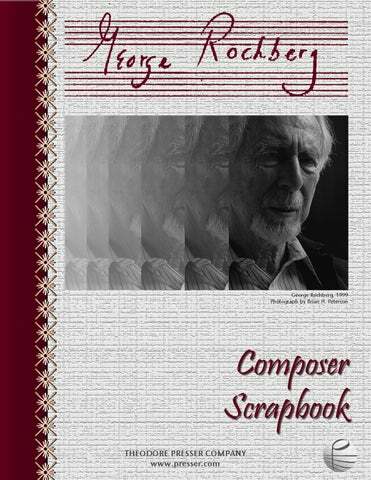 Mr. Rochberg was also an influential writer about music; his seminal book “The Aesthetics of Survival (A Composer’s View of Twentieth-Century Music)” examines the legacy of modernism in music, in relation to tonality, melody and harmony. Originally published in 1984 by University of Michigan Press, it is now in a new, revised and expanded edition (2005). “Eagle Minds” is a recently published (Wilfrid Laurier University Press, Waterloo, Ontario) 40-year correspondence between Rochberg and the Canadian composer Istvan Anhalt, two composers with widely diverse points of view. Other writings include his memoir, “Five Lines, Four Spaces” (University of Illinois Press) and a technical work, “A Dance of Polar Opposites: the Continuing Transformation of our Musical Language.” Many of Mr. Rochberg’s writings, scores, and other memorabilia are on display at the George Rochberg music room, part of the John J. Cali building at Montclair State University. Born in Paterson, New Jersey, on July 5, 1918, Rochberg began his studies in composition at the Mannes School of Music, and, after serving as an infantry lieutenant in World War II, resumed them at the Curtis Institute of Music. He taught at the Curtis Institute from 1948 to 1954; and in 1960 he joined the faculty of the University of Pennsylvania, where he served as a chairman of the Department of Music until 1968. He retired from teaching in 1983 as Emeritus Annenberg Professor of the Humanities. He married Gene Rosenfeld in 1941, and they had two children, Paul and Francesca. George Rochberg was a long-time resident of Newtown Square, Pennsylvania; he died on May 29th 2005 in Bryn Mawr Hospital with his wife and daughter at his side. for 9 Instruments 18:00 0 1 1 1 – 1 1 1 0; Vln. Vla. Vcl. Chamber Concerto for Guitar and Ensemble 20:00 Solo Gtr. ; Fl. Cl. Hn. Vln. Vla. Vcl. 23:00 Fl. Cl. Hn. Pno. Vln. Vla. Vcl. Cb. 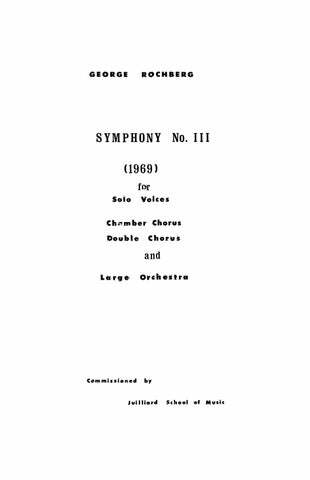 for Large Orchestra 20:00 3 3 3 3 – 4 3 3 1; Timp. Perc. Cel. Hp. Str. 30:00 1 1 1 1 – 2 1 1 1; Pno. Str. (Revised) 50:00 3 3 3 3 – 4 3 3 1; Timp. Perc. Str. 26:00 3 3 3 3 – 4 3 3 1; Timp. Perc. Str. 48:00 3 3 3 3 – 4 3 3 1; Timp. Perc. Cel. Hp. Str. 25:00 4 2 1 3 – 4 4 3 1; Timp. Perc. Pno.(Cel.) Hp. Str. for Large Orchestra 35:00 4 4 5 4 – 4 4 3 1; 2Timp. 3Perc. Cel. 2Hp. Str. 14:30 3 3 3 3 – 4 2(in C) 3 1; Timp. 4Perc. Sections, Pno. Cel. Hp. Str. 12:00 1 1 1 1 – 1 1 1 0; Str. 26:00 Solo Cl. ; 3(Picc.) 3(E.H.) 0 3(Cbsn.) – 4 3 3 1; Timp. Perc. Cel. Hp. Str. 18:00 Solo Ob. ; 2 0 2 2 – 4 2 3 1; Timp. 2Perc. Cel. Hp. Str. 40:00 Solo Vln. ; 3 3 3 3 – 4 3 3 1; Timp. Cel. 2Hp. Str. for Tenor Solo and Orchestra 25:00 Solo Ten. ; 3 3 3 3 – 4 3 3 1; Timp. Perc. Str. for Orchestra with Cello Solo 12:00 Solo Vcl. ; 3 3 3 3 – 4 3 3 1; Timp. Perc. Hp. Str. for Mezzo-Soprano and Orchestra 32:00 Solo Mezzo-sop. ; 2 2 2 2 – 4 2 3 0; Timp. Perc. Str. for Vocal Solo Quartet, Chamber and Large Choruses and Large Orchestra 50:00 6 5 5 6 – 6 8 8 1; Timp. Perc. 2Org. (Pipe, Lg.Elec.) Pno. Cel. Str. Opera in Two Parts 2:32:00 1(Picc.) 2(E.H.) 3(B.Cl.) 3(Cbsn.) – 4 3 3 1; Timp. 4Perc. Hp. Cel. Str. for Soprano and 11 Players 20:00 2Fl. 2Cl. 2Tpt. Vln. Cb. Kbd. 2Perc. for Baritone and Orchestra 10:00 Solo Bar. ; 1 1 1 1 – 1 0 1 0; Perc. 2Pno. Str. for Soprano and 11 Players 20:00 Soprano, 2 Speaking Voices (Young Woman, Young Man); Fl.(dbl. A.Fl., Picc.) Cl. (dbl.Acl., E-flatCl.) Tpt.(dbl.Picc.Tpt.) Hn. Tbn. Perc. Kbd. (Pno., Cel., Hpsd.) Vln. Vla. Vcl. Cb. 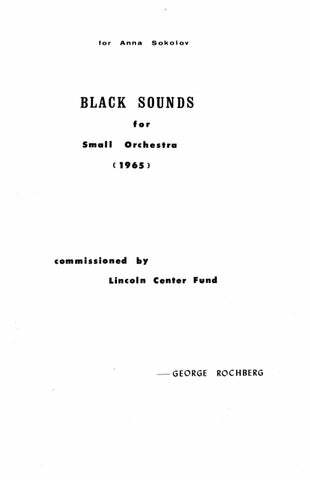 George Rochberg is a composer worth revisiting… He grew up on a musical battlefield of warring ideologies. It would have been admirable had he refused to join the serialists or the polytonalists or the neo-Romantics or the neo-classicists or the minimalists. More admirable was that he joined them all. “The Caprice Variations,” in which Rochberg masterfully blends Modernist and Classical elements, is a beguiling, if not bemusing, composition. Rochberg’s music includes both popular American idioms and baroque and romantic classicism… All told, the “Carnival Music” is a lively, diverse work in an American idiom. …a brilliant show-work for piano that the heart and mind of Rochberg have put together as if with some kind of magic glue that is oddly cohesive. Robert Schumann’s “Carnival,” written more than a century before the Rochberg piece, was a happy comparison. Rochberg’s music…gathers the kind of music he values, a portrait of himself and his life in music… highly pianistic, broadly orchestrated, overflowing with sound. It is personal, appealing, provocative and full of emotion— the essence of a romantic work. …works very effectively, in four movements. It uses melodic motives that are perceptible and that really develop, despite the atonality. The ‘Concord’ quartets, each roughly a half-hour in length, speak a kind of musical esperanto that Rochberg calls ‘multi-gestural.’ Atonal, 12-tone and purely diatonic elements exist side-by-side, even simultaneously. No single harmonic procedure dominates; each is as important as the other, fixed radically like the spokes of a wheel. Together they form a literal musical continuum that denies neither the past nor the present. It is one music, and it is many musics — the composer provides the artistic context and the listener is left to draw his own aural relationships. Its particular and very touching elegiac quality is conveyed through a highly individual use of quotation. It is a singularly sensitive piece of work… If the Bowdoin festival had nothing to show for its existence but the commissioning of the one work the whole project would be extremely worthwhile. …a shining example of how up-to-the-minute materials can be used to produce music of strong individuality. In a sense, his is romantic music, super-distilled lyricism… and it is very spiritual. … rigorous passion in the broad statements and tense harmonies. Though this piece has its amusing moments and seems tongue-in-cheek for a while, it leaves one with the impression that a serious statement has been made. Throughout the work the composer never stands above the traditions he is referring to, taking potshots at them, but relates to each one on a sincere level, employing his own astute craftsmanship to make his own kind of Beethoven and his own kind of rock… sensitive, carefully crafted. …pieces of fluency and deeply involved feelings nourished by the spare suggestiveness of the poems. The piano parts… retained a glassy clarity while arising from a dense, chromatic richness that seemed to carry forward a few steps the same kind of poignancy we find in the songs of Alban Berg. …a powerful and thoroughly original work, communicating a diversity of ideas and impressions to the listener. Especially interesting are the opening and closing sections wherein the composer has recreated the sounds of Japanese Gagaku, the orchestra music of the Imperial Court originating in the eighth century… accomplished by uncanny manipulation of the resources of the modern orchestra. It successfully combines the concepts of unity and variety that mark the product of a true master. … a fascinating accomplishment… an unusual conflict and brilliant resolution of styles, as fleeting as a musical dream— fairy-like and magical, and throughout tinged with an element of religiosity. Rochberg is a formidable craftsman, a master orchestrator. It is a unique work, truly gripping in its effect. Mr. Rochberg’s aim is… to evoke the past and tie it to the present in a mystical way that goes beyond what others have done in any conscious or systematic manner… after a lapse of years, one was again struck by Mr. Rochberg’s ability to project his personal vision. Craggy, abrupt and highly colored instrumentations to give a music insistently demanding attention. …sounds emerge from the instrument which would make you think the harpsichordist has gone electric. It was all very wonderful and great fun. Mr. Rochberg shows marked creative daring in this composition. 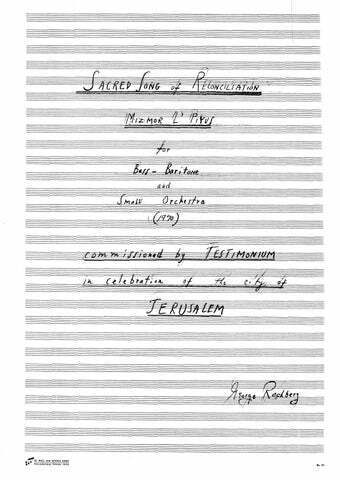 It is in a style suggesting Berg and Schoenberg, yet distinctly his own in the shrewd play of novel idea and color. …sheer elegance and fluidity … beautifully crafted and well executed. The theme…is a beautiful, short, and accessible lyrical ballade in a romantic style. … Each of the movements flow into one another without pause. The overall feel is one of unity and energy within a diversity of musical styles. …of considerable dramatic intensity… a point of being communicative… a fresh and imaginative range of sonorities… direct but unconventional… virtuoso stuff. A provocative work that draws the listener in, sometimes comfortably, sometimes challengingly. Extreme eclecticism like this takes courage, but it is a courage made easier by Mr. Rochberg’s rock-solid sense of form and shape…The contrasts are large ones: violent chords leaving trailing echoes of resonance over which soft responses are heard. The Brahmsian inner movements are lovely. …an unyielding, granitic work on a Hebrew text…that brought the house down. 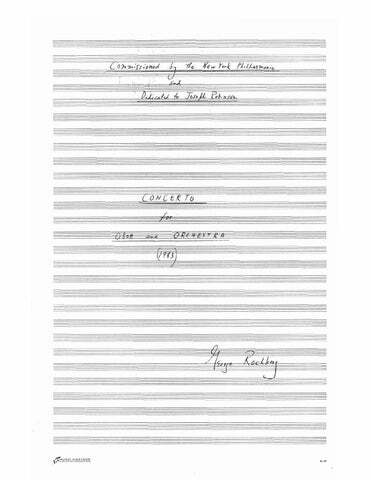 …a refreshingly romantic piece from this sometimes unpredictable composer; in this score, virility and heartfelt emotion combine to wonderful effect. The profound emotional expression in all four movements is characterized by the constant employment of atonality and tonal variety. …shows what wealth of material a note-row can yield. The range of invention compels admiration, as does the dazzling variety and ingenuity of the piano writing. …a display piece, a veritable peacock’s tail of eye-catching colours. …the jagged melodic lines and ripe dissonances — so wide in range and at the same time limited in what they can express — remain as wellspring for new musical development … there is such a degree of subtlety and truth in the matching of words to music as to make the total effect unmistakably strong. …a wholly superior testimonial to the continuing viability of the middle ground in the 12-tone world. 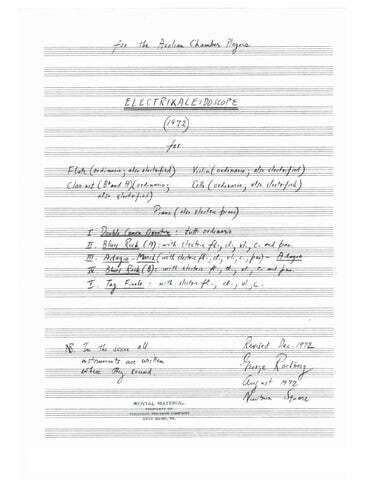 The composer uses a text in the closing sections of his work, drawn from the ninth Duino Elegy of Rilke; indeed there is much Rilke in the mood of the entire composition. The Concord Quartet matches the poetry — ‘The beast of night, dark furred…’ —a vision of terror. 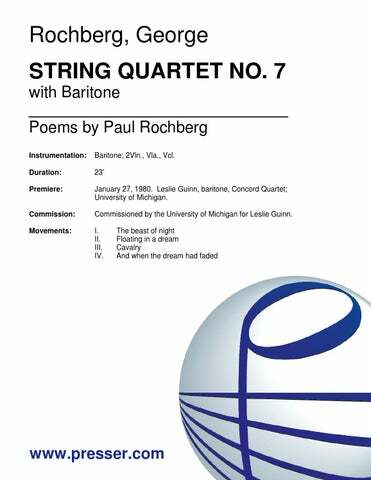 For sustained intensity, the group strikes a note not heard in Rochberg quartets for years… forceful, dark statements as direct as any verbal image. …a greater humanity and depth for his art. 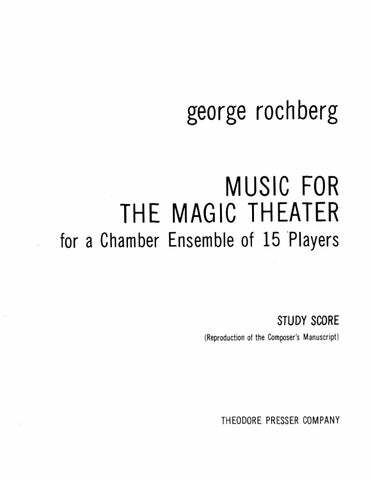 Rochberg offers the proof that tonal and non-tonal music can find new musical directions and he is on a strikingly original path. There can be no question of Mr. Rochberg’s skill with the orchestra, and of his ability to spin nice lines into a good fabric… I also liked the nice lyric flow of the slow movement and its imaginative counterpoint. …full of ginger and ideas… the end movements… are bursting with rugged energy. Mr. Rochberg writes for the orchestra with spirit and with a flair for its variety. …a masterpiece… a powerful and thoroughly original score… it communicates emotion, with technique relegated to minor importance. …a work of classic symphonic scope and of Schoenbergian intensity and vision… an underlying originality and an expressive power and poetry that are remarkable. 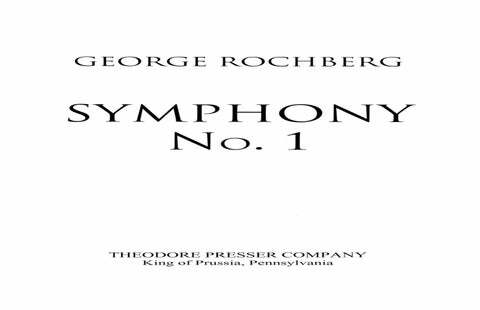 …the symphony astonishes as much by the novel sounds drawn from the traditional orchestra as by the melodic-rhythmic wealth derived from a single twelve-tone row… rhythmically, as in the melodic realm, Rochberg has succeeded in creating the unity in variety that marks the true master. This work is an important ‘breakthrough’ that intelligent audiences have been waiting for, and not something thrown together for shock effect… [Rochberg] has used his great musical genius in the service of humanity… the star-studded audience…gave Rochberg’s work an ovation. 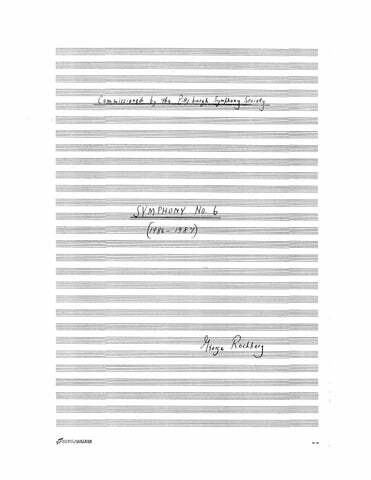 Rochberg has woven into his work music of other composers in new guises or new contexts… gathering into his own music the ideas from the past that are important to him. It is music from the heart and its message scarcely needs words to make its impact. 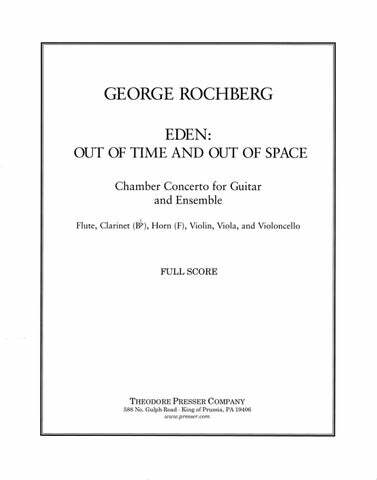 It is an epochal work in Rochberg’s catalog; it should be one in our times. Mr. Rochberg writes tunes, tunes you can sing, tunes that stay in your head. He is unashamedly, unabashedly, uninhibitedly Romantic. …an unqualified success… dashing, powerful, high tension so superbly crafted that the ideas were clear no matter how complex the writing. …the best new piece of music I’ve heard in several years. A century (or more) from now, it should still stand as a highly skilled, deeply moving piece of music, an example of the best music of our times. Rochberg has built a new and highly evocative orchestra, creating new sounds, finding the apt touch for the ethereal poetry and the mood… it is hard to imagine a more suitable fitting of timbre with text. 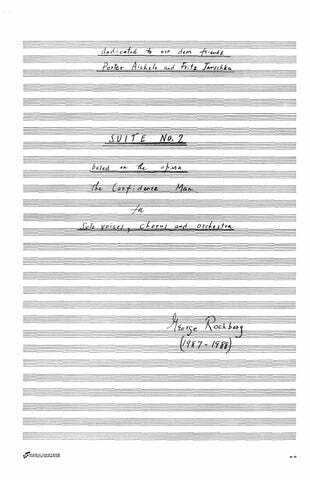 …an artistic vision of rich complexity, essentially lyrical in manner, concentrated in its rethinking of sonata form. …formally and expressively coherent, rich in diverse and memorable ideas, and most enjoyable to listen to. …among the most beautiful serial compositions ever penned, terse, characterful, and singing. It is no surprise that Rochberg’s textures are always pianistic and illuminated from within, given that he was an excellent pianist himself. I find them one of the most enlightening and entrancing piano compositions that came to my attention in a decade or so… there is a personal message in your music, and your music gives to the performer the way to give the maximum of his abilities. They are 12-tone music, but more important, they are music, the expression of a true composer… the contrasts in mood and texture fused in an architectonic whole make for interesting piano music. 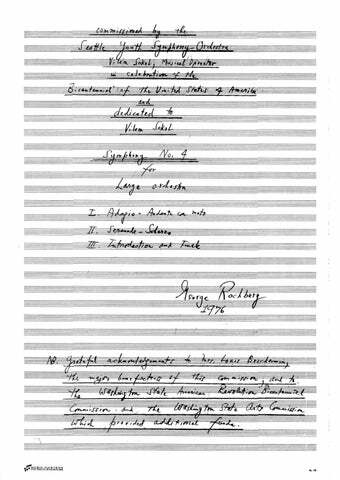 As a young man of 23 in 1941, Rochberg composed his “Variations on an Original Theme”… Although there is nothing groundbreaking in this work, it is delightful to hear. It is an impressive accomplishment by a fledgling composer. What makes [the “Violin Concerto”] fresh and exciting is Rochberg’s willingness to be unafraid of the past. He wants to be able to use any device, technique or idea he likes… The Violin Concerto’s melodic style and rich harmony go back to turn-of-the-century post-Romanticism. Its fantasies and ornate 5-movement shapes suggest the baroque. Yet it is not a total throwback. Its forays into atonality are imaginative.